The only DMs I want to slide into are this brand's delicious meats. It seems even lobsters need help with their branding. The province has issued a request for proposals for a new Nova Scotia seafood brand. The department of Fisheries and Aquaculture will use the winning logo in international markets and presumably to generate buzz with millennials. It should also have a maple leaf jammed in there someplace—to better account for Canada’s “globally recognized” international reputation for quality. The tender documents note that fish and seafood make up Nova Scotia’s largest export commodity, accounting for $1.3 billion in 2014. Almost $450 million of that was from live lobsters, which have been the subject of previous brand crises. Former fisheries minister Gail Shea was trumpeting a better Canadian seafood branding last spring after attending the international seafood expo. 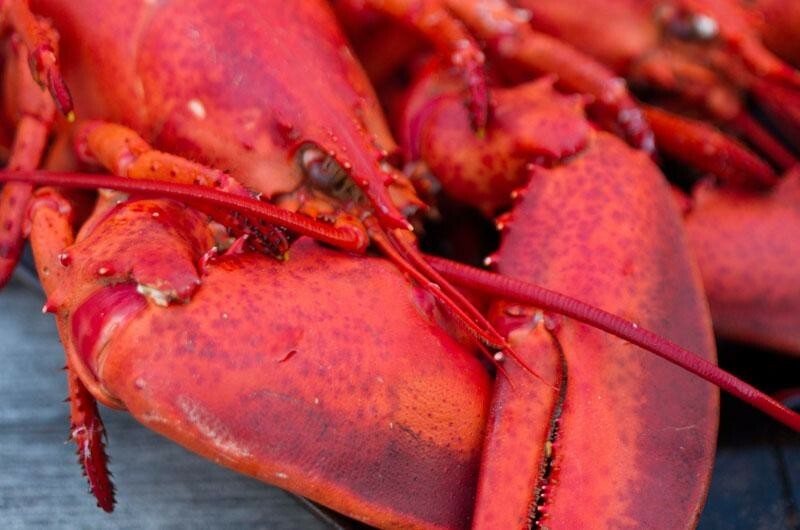 The Maritimes provinces have also debated a new lobster levy to promote, in part, a Canadian lobster brand. The global seafood market has been booming in recent years due to increased demand from Asia. Last year, reporter Aaron Beswick quoted Clearwater Seafoods manager Catherine Boyd that the company’s sales were up 19 percent to Asia in the past year, and 15 percent to Europe. Likewise, Selena Ross reported for CBC that cargo flights of as much as 100,000 kilograms in live lobster were leaving weekly from Halifax Stanfield International Airport. “Live lobster exports to Asia went up 428 percent in the past five years,” Ross writes. The current @NSSeafoods brand is a guy named Lenny. You don’t have to leave the city to reel in seafood suited for eating—Halifax harbour calamari could be yours.